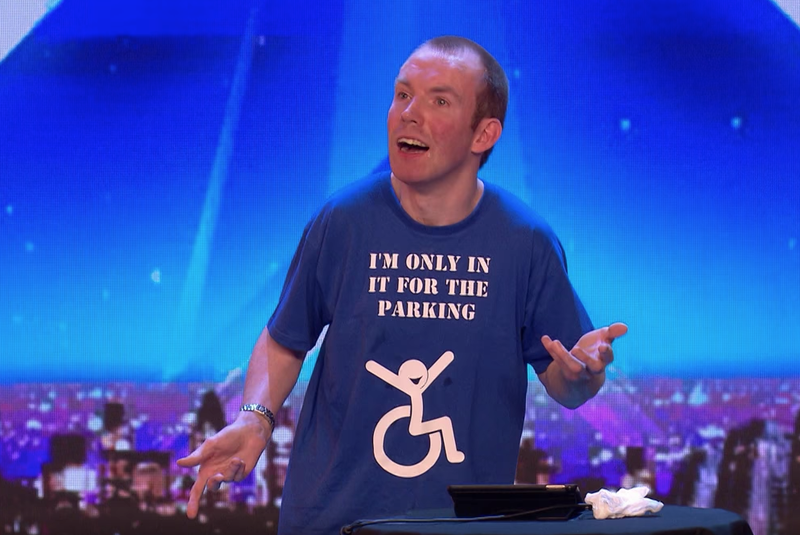 For a Britain's Got Talent audition, stand-up comedian Lost Voice Guy (aka Lee Ridley) performed a brilliant set without speaking a word. 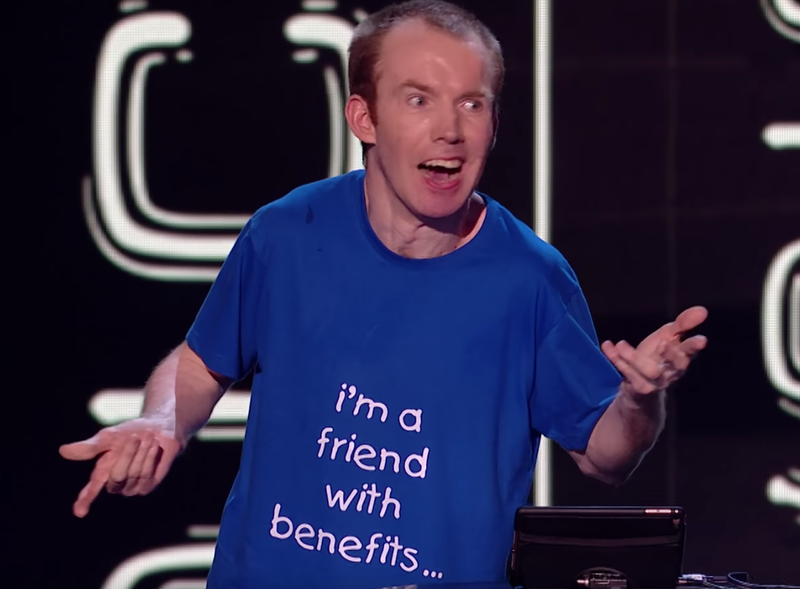 The voiceless 37-year-old British comic used a synthetic voice machine to deliver his jokes which had the audience and judges in stitches. I also have Cerebral Palsy. I have no speech (I use a small machine called a Lightwriter to speak) and I walk with a limp. Don't worry though, you can't catch it from me. It just means that you better not get stuck behind me on the stairs if there's a fire.